We have moved to a new location in VICTORIA on October 1, 2018: 8000 Rose Street, right next to the Holiday Gas Station! Welcome to ABC Family Chiropractic! What’s the best way to choose a chiropractor in Victoria? You’re doing it! 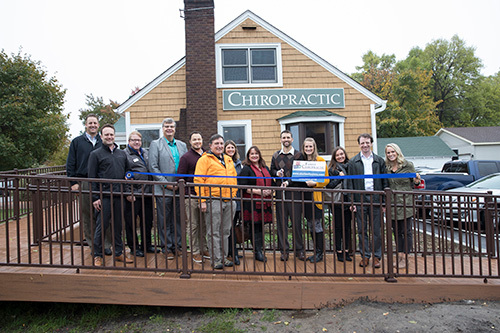 Spend some time here exploring our chiropractic philosophy and our patients-centered focus. Not all chiropractors are alike! Ask questions and expect clear answers! After you tour our website designed for Victoria-area residents searching for a chiropractor, give our chiropractic office a call. I’d love to meet you and explain our unique approach to today’s chiropractic. Now providing DOT physicals. Call for your appointment today! Don’t let Spring cleanup and transitioning to a new schedule stress you out. This herbal formula based on traditional Chinese medicine is aimed at stress management. It may add some extra SPRING to your step!!! “Great service! I would and have highly recommended ABC Family”.